Unfortunately, your registration has been declined by the auctioneer. You can contact the auctioneer on 415.522.5700 for more information. You are the current highest bidder! To be sure to win, log in for the live auction broadcast on Dec 25, 2014 10am CST or increase your max bid. 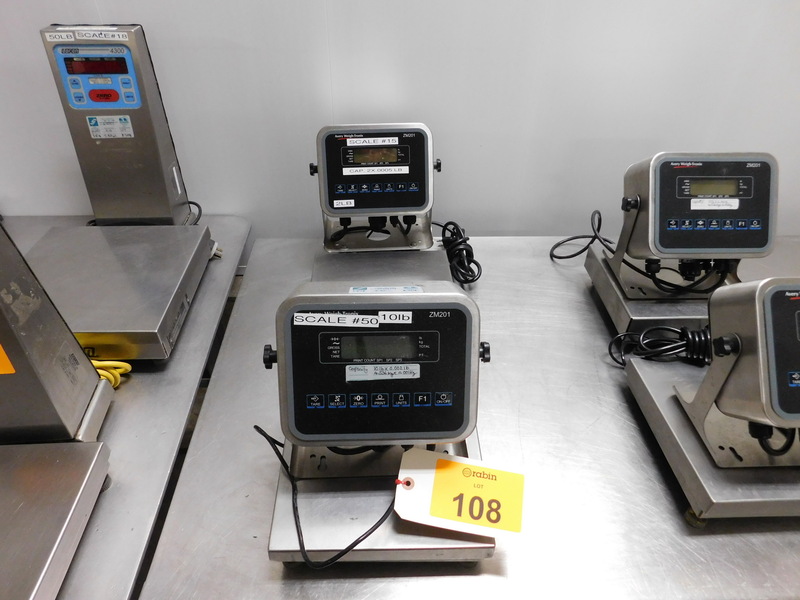 [LOT] (2) Avery Weightronix stainless table top digital scales, model ZM201, s/n 154950259 & 144550373, (1) 2 x .0005 lb, (1) 10 x .002 lb. cap. Loading, Rigging, and Freight are at buyers expense. The plant has been sold in its entirety. auction will be rescheduled for a future date.